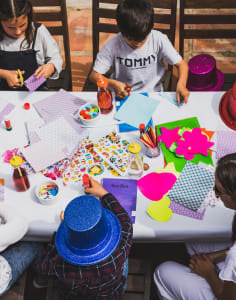 Plox combines creativity, education and fun into its magical workshops in London, as well as holiday travel boxes so that the fun can be continued around the world. 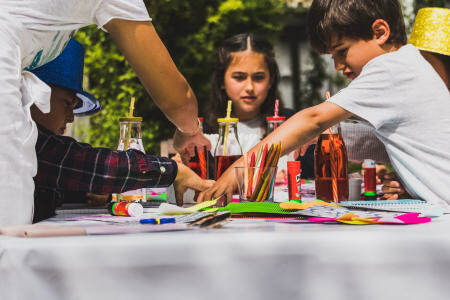 Host a Plox party or play-date in your own home or rented space and Plox will design a bespoke art & craft workshop based on a theme of your childs choice. These themes can be found on the website and Plox can easily cater for new theme ideas should one not find what they are looking for. Sessions for as little as one child are available with the maximum number being 15 and we have the flexibility to travel anywhere within zone 1+2. Our aim is to inspire creativity, have fun and get arty...without a screen in sight! Bespoke Childrens Art & Craft Workshop in Your Home!